She Speaks 2014 was such an awesome experience. The speakers, the praise and worship, and the friendships that were formed.. I highly recommend checking it out and prayerfully considering attending if you’re a writer or a speaker! Daughters of Kings are among your honored women v9 Did you know that because you are a follower of King Jesus, you are His daughter? Yes you, you are Christ’s daughter? Did you see the specific instruction for you, daughter of the King, it’s hidden within this psalm? 10 Listen, daughter, and pay careful attention: Forget your people and your father’s house. 11 Let the King be enthralled by your beauty; honor him, for he is your Lord. We have this image of ourselves, of how we think we should look or act or be or do. And unless it’s is matched to God’s truth we fail each time. Some of us struggle with insecurity. Some of us struggle with being enough. Some of us struggle with vanity. Some of us struggle with … you fill in the blank for you. See for me, I’ve never really thought of myself as much or much to look at. I’ve had numerous people put negative labels on me and try to tell me who I am and who I’m not. And what I look like and what I don’t and it’s created this bubble of insecurity and doubt. But I read this verse and I’m overwhelmed at how much, just how much my My King, My Father in Heaven adores me and thinks of me as beautiful He thinks the same for you as well. v 10 – God says look forget what others are saying about you, forget them. Forget those labels someone put on you. Forget these people, even if they are family, forget them. Forget them. Let the Lord, who created you be enthralled by your beauty. The world may tell you that you are something you are not. People may throw ugly labels on you because you don’t fit their idea of beauty. You may put ugly labels on yourself because you haven’t seen how your Creator, God, sees you. He is enthralled by your beauty. He loves to look on you because you are beautiful in His sight. You are worth all the love He has for you and in His sight you are enough. But wait, I love how God does this all the time in scripture, there is ALWAYS more. He makes a promise then there is work for us to do. v 11 goes on to tell us honor Him, for He is your Lord. I think this is to keep us from being too vain, or full of ourselves, or reliant on ourselves for our own beauty. We honor Him, for he is our Lord. Honor – one of the definitions of honor is “a source of credit or distinction” (dictionary.com). So we acknowledge God for creating us as beautiful and no matter what we look like, scars, birthmarks, deformities and all, we give God the glory and credit of the beauty in which He created us to be. Lean in and see how your Father God sees you; He is enthralled by your beauty. We, in turn, honor Him for creating us exactly how we are and accept, hard as it is for us with insecurity issues to do, but we accept and bask a little in the love He has for us as He is enthralled by us. 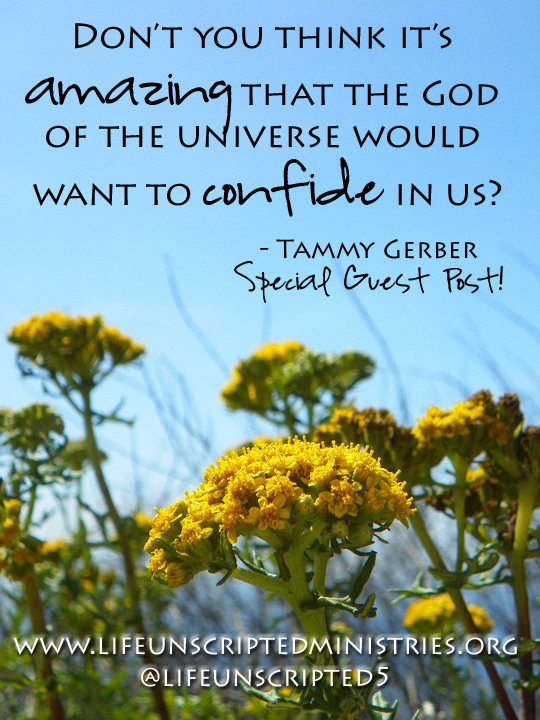 You are special, You are beautiful And God is enthralled by your beauty. Spend time in His Presence and just be, let Him tell you just who you are in HIM, how He sees you, How he Loves you, But you have to choose that time, to be quiet, be still and soak in all that He is to you. Let Him tell you. Let Him love you. Psalm 46 There are so many good nuggets of awesome in this whole psalm but I’d like to focus us on two key verses that will radically change your life. I’ve been told my whole life that I need to slow down and “be still.” I hear “Be Still” in songs, in conversation, read it in the bible, in other books, hear it on TV. I cannot get away from that “Be Still” command. I’m the fix it girl if something is broken or there is a rift, or something needs to be done. I’m right there trying to fix it. I figure God gave me problem solving skills for a reason, right? Well what I’ve learned in the last few years is that God is really the fixer of all things and sometimes He chooses me to help Him fix stuff. Because of these two verses. These two promises. 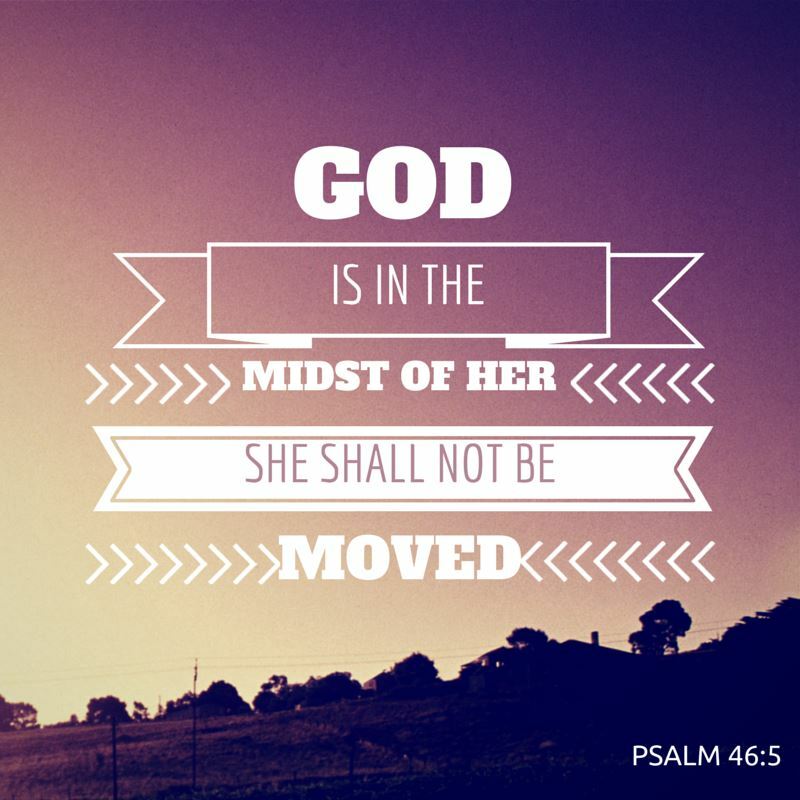 Psalm 46:5 God is in the Midst of her, she shall not be moved God will help her right early [at the dawn of the morning]. If I stand still and wait for the Lord, He comes. In the Midst of me, the middle of me, deep in my soul, He delivers a promise of help. And I shall not be moved. Because I choose to be still. Because I’m waiting for Him to speak to me. Because I’m listening to what to do next. Because in Him, when I’m still I can hear His promises and not be moved by what the world may say, or the lies that in my head, what they might tell me. He promises to help and right early, each day is new and while I may have tears and fits the night before, when I’m still and when I let Him quiet me, He promises to help. He promises to sustain. Busy shouldn’t be a badge of honor that we proudly wear. It’s one we were never meant to pick up. 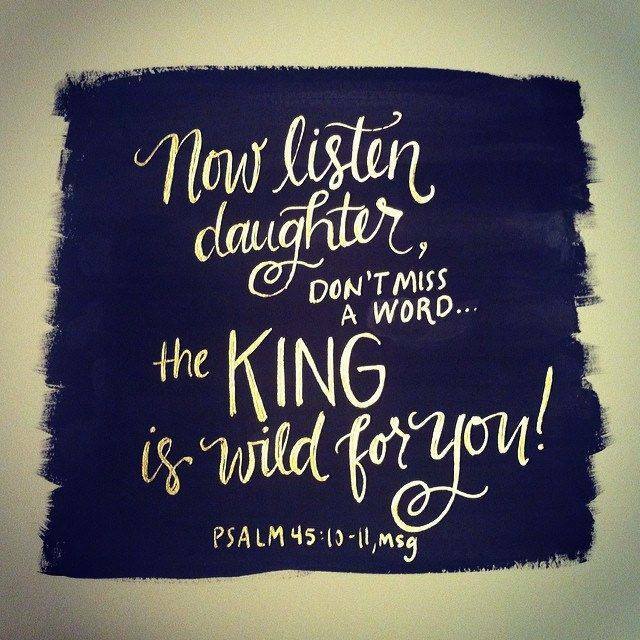 Being still allows God to do His thing for His daughters. Being still allows you to come to a place of alignment with God. Being still allows you to quiet your worldly self. Being still allows you to get to the point where you can listen to God beckon you into a closer relationship with Him. Being still allows you to be in AWE and recognize God for who He is – God the Almighty, big and AMAZING. Being still allows you to be obedient to do what He has called you to do. Being still allows you endless supply of strength that only King Jesus can bring. 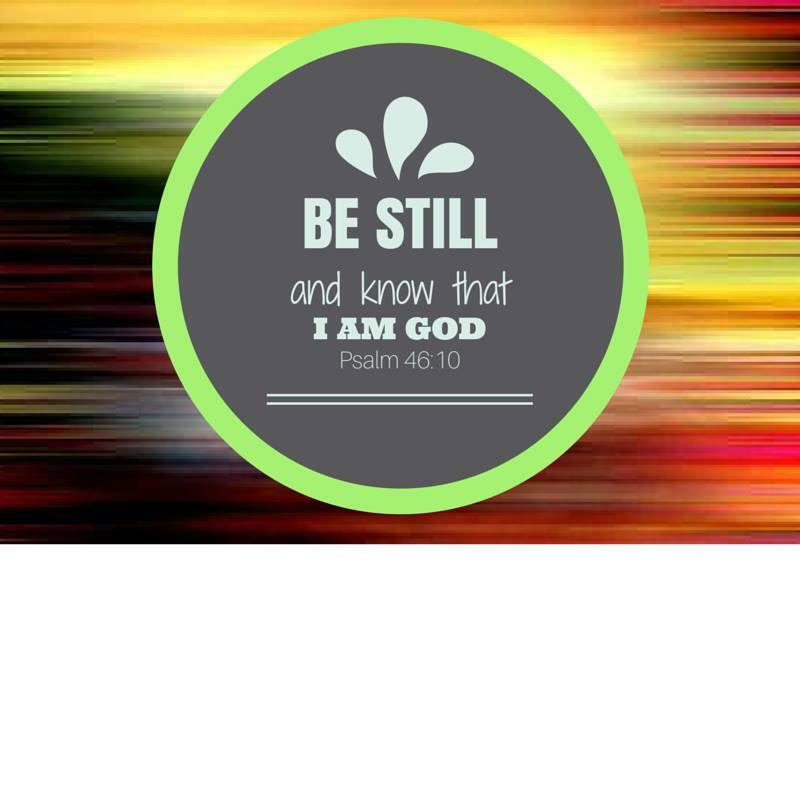 Psalm 46:10 Let be and be still, and know (recognize and understand) that I am God. I will be exalted among the nations! I will be exalted in the earth! 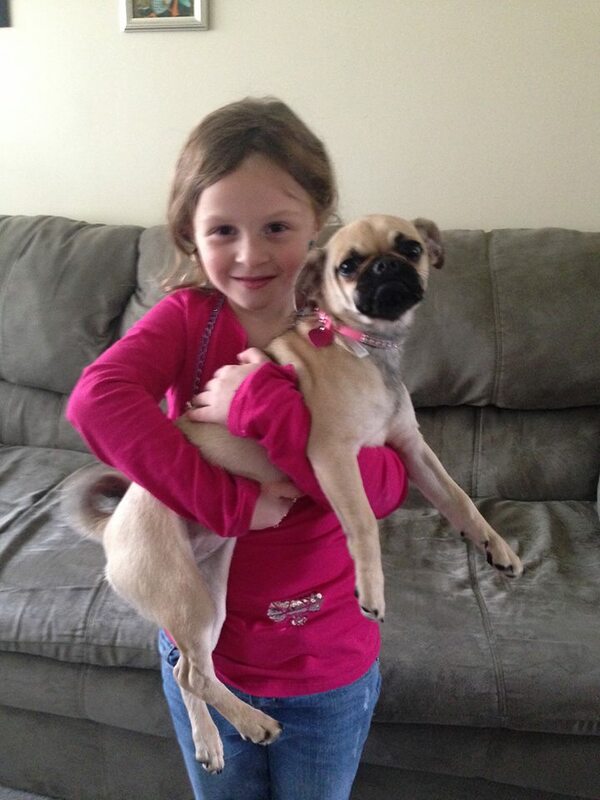 I’m so glad Molly was able to guest post with us today! I’m telling you what, “be still” has always been one of those commands that I’ve struggled with. I’m a go-getter. A fix it girl, much like Molly. But we will never truly find peace that God has promised us if we cannot find the strength to be still before the Lord. We must make tie to be still before Him. Daily. God’s pretty wild about you, babe. Pretty crazy wild about you. Shake off those labels people have attempted to pin on you and walk with your head held high. 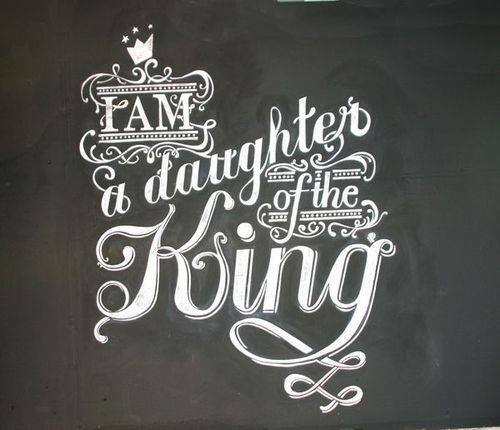 You’re a daughter of the King! I pray you’ve been encouraged today! Please share with someone and continue to join us as we dive into Psalms and stay firmly rooted in the Word of God in 2015! Start the conversation below or here on my Facebook page! So glad to have my friend, Debbie, back with us today! She’s sharing her heart on Psalms 43-44. Please keep her and her ministry team in your prayers as they prepare to minister this weekend at a local women’s conference! You can check out her ministry Facebook page here. As we face discouragement let us not lose the hope that is found only in God. The sons of Korah, which are the temple assistants, are believed to be the writers of this Psalm. ❤ V 1- I can feel the Psalmists and his heart crying out to the Lord in the midst of his enemies. He is praying for the Lord’s vindication and strength among these evil people. As they are surrounding him he is wondering where God is and praying for the Lord to rescue him. Can you relate? I know I can. I have felt discouraged and needed the Lord to rescue me in these times. ❤ V 2 – Although we may feel rejected and wondering where the Lord is, we must trust He is with us. He is our stronghold and our strength! ❤ V 3 – When we feel surrounded by darkness and fear, it is God’s truth and light that guides us. I often pray that He will eliminate the next steps to take. I pray this for you, as well, and to step out even afraid as He guides your steps! ❤ V 4 – The Psalmist is filled with faith as he has been praying to the Lord to come to his rescue. When he says in the scripture that he will go to the altar of God, I believe that is the Cross where Jesus sacrificed His life for our sins. We must keep our focus on the Lord as we wait. We must stay very close to Him, laying our sins before Him, at the altar, and rejoicing and praising our God. He is where our help comes from. ❤ V 5 – The question “Why are you downcast, O my soul?” makes me think of the times that I questioned the Lord in my waiting for Him to answer me. I pray for Him to reveal sin to my attention so that I can be quick to repent and lay it down at the Cross. I put my trust and hope in Him, praise Him, and thank Him for hearing my prayers and answering them in His time. ❤ V 1-3- I believe these verses talk about what God has done in past generations and how He saved His people. From generation to generation they praised the goodness of God. 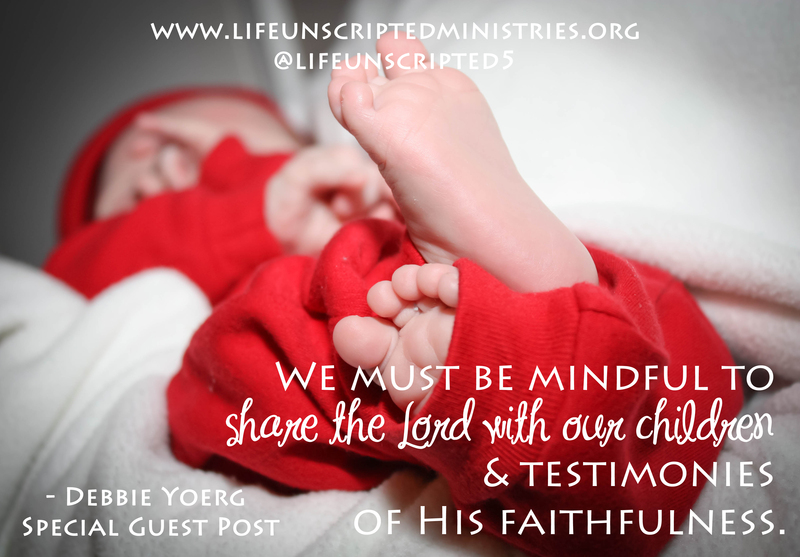 Let’s be mindful to share the Lord with our children and testimonies of His faithfulness. ❤ V 4-8- In these verses, he talks about the great things the Lord has done for him. Do you reflect back and see how the Lord has pulled you through? We tend to forget what He has done in our lives when we are in difficult situations. We must take hold of Him and thank Him for revealing Himself to us. Thank Him that you are not where you were when you started your journey with Him. He has you were you are now and continues to move you forward… If you let him!! ❤ V9–16 Ever feel rejected? I know, silly question! David went from praising the Lord to feeling rejected by Him. Everything was going wrong and David wants to know where God is?? Again, I can relate. Truth is, bad things do happen but it is in these times that we must be intentional in snuggling close to the Lord. 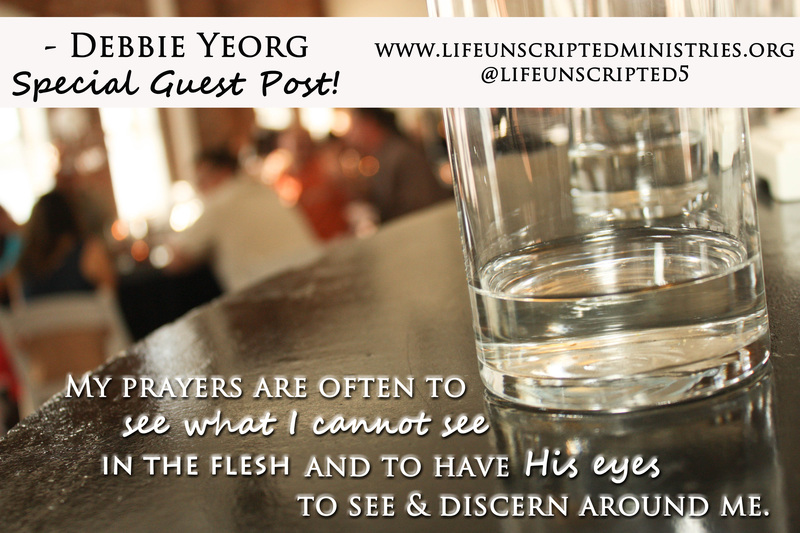 It is essential that we not lose sight of the Lord… He is our focus and our eyes must be on Him! ❤ V 17- 22- Tells me that no matter what comes at us we must not forget who our God is and to keep our eyes on Him. 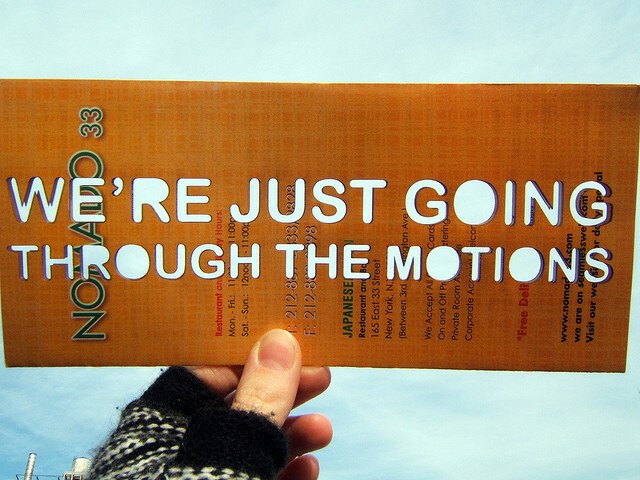 ❤ V23-26 – I hear the pleading in these verses of God’s people calling out for God to move mightily on their behalf. For the Lord’s promises and truth to be revealed. Ever felt this way; pleading for the Lord to come and answer your prayer according to what you want or need? I confess that I have. I’ve wondered, “Do you hear me, Lord”? “Where are You”? I believe this Psalm hits home for all of us. The end of it I find abrupt and unsettling as David is pleading desperately. 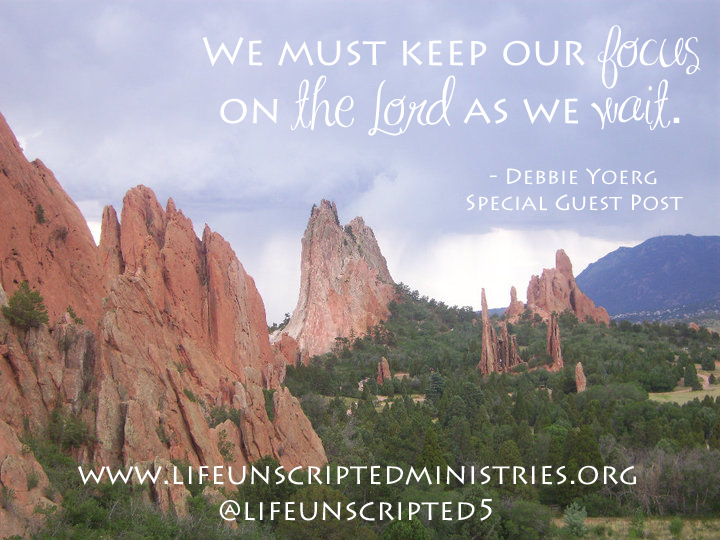 I love what Debbie said about sharing the Lord with our children. They need to see how God has rescued us. They need to hear of his faithfulness. They need these testimonies to build their faith. And so do we. Chime in below or here on my Facebook page. I’d love to hear your thoughts on this! So glad Debbie Yoerg is back with us today! 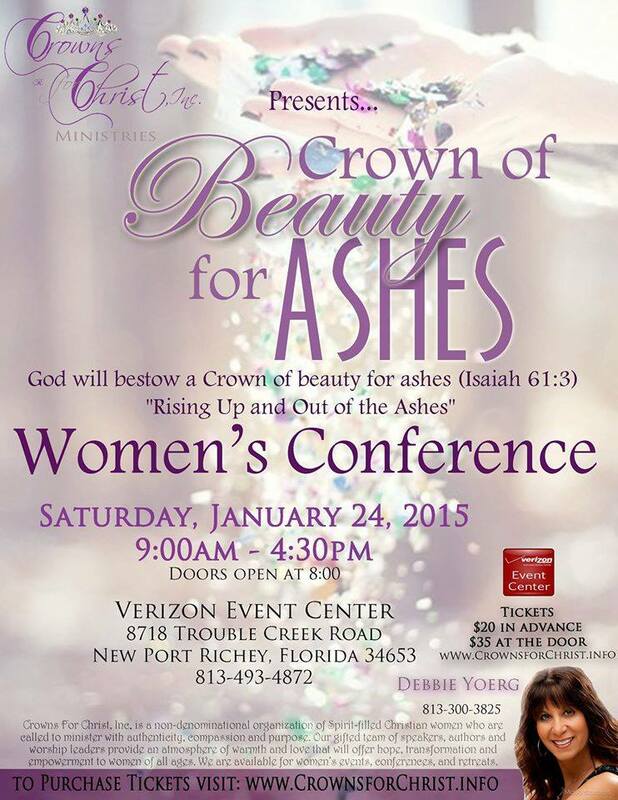 If you’re in the Tampa Bay area, she is hosting a women’s conference NEXT Saturday, January 24th from 9am-4:30pm at the Verizon Events Center in New Port Richey. You definitely don’t want to miss it! You can find more info on her Facebook page here and a link to order your tickets to the conference! One of my favorite Psalms is 27 and falls on the day that I am sharing with all of you. Every word of this Psalm is highlighted in yellow and has been meaningful for me to reflect back to over the years. I pray these insights bless you! ❤ Verse 4-9- Do you desperately want to be in the presence of the Lord? I know I do! My heart cries to be in His presence; to seek His face, and to trust His protective covering over me. As I snuggle close to Him I find He does lift my head and holds my face in His hands. I can envision that as He tells me He loves me. My friend, He is the place to run to, He is your hiding place, He is your source of strength. He wants to reveal Himself to you. He is faithful as you draw close to Him. I pray you feel His presence and rejoice in knowing His unconditional love for you as you soak up His peace in the midst of circumstances. ❤ Verse 10-12- To be forsaken by a parent is so sad. The scripture tells us that the Lord can heal the pain that lingers throughout the years. The Lord can take that place in our lives that have been wounded and draw us close to Him. He can fill the voids and heal hearts. If we receive His healing and let Him guide our steps, He will set our feet on His path for our lives as we seek His face. He is the Father to the fatherless and has adopted us as His sons and daughters! What the enemy meant for evil the Lord will use for good if we let Him. ❤ Verse 13-14- Despite the trials that David was going through, he chose to be confident that the Lord was present and helping him through his trial. David also learned to wait for the Lord and in His timing. Praise the Lord through your circumstances, trust that He has you in the palm of His hand protecting you and in His timing will pull you through and bless you for waiting on Him. I pray you grab a hold of this promise He is giving you and boldly trust Him in the midst of your trial! God is faithful! This Psalm teaches us that prayer is so essential to our relationship with Jesus. It is our heart communicating with the Lord, who is your very best friend and true source of strength. Prayer is a lifestyle and our worship to the Lord! ❤ Verse 1-2- I know I am not alone when I say I understand David’s cry to be heard by the Lord. It is a place of total surrender for me to pour out my heart and to hear the Lord’s still small voice as I draw close to the Lord in prayer. I know that is your heart’s cry, too! 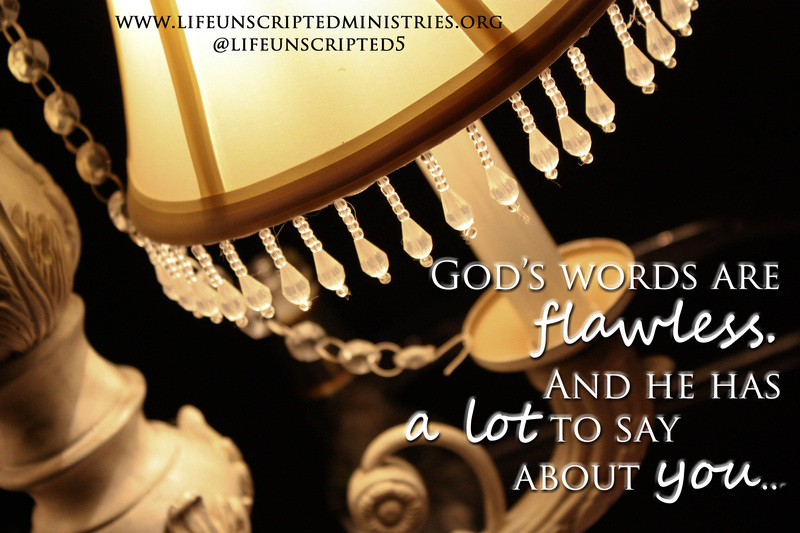 Please rest in knowing that He does hear you… You matter so much to Him! ❤ Verse 3-5- I feel for David as he is learning about friendships and how some are hurtful. The Lord has revealed this to me in my own life. I have found that some friendships have been wolves in sheep’s clothing; deceived by their friendship of their true agenda. The Lord has taught me much in this area and I thank Him for His wisdom and discernment to reveal those things in the spirit what I couldn’t see in the flesh. 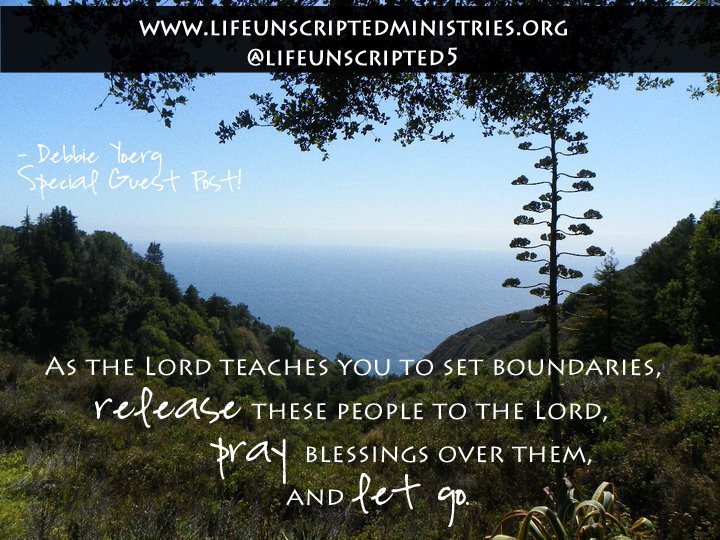 As the Lord teaches you to set boundaries, release these people to the Lord, pray blessings over them, and let go. ❤ Verse 6-9- Be encouraged, my friend, that the Lord does hear your cries and the desires of your heart. Give Him thanks in ALL circumstances! He is protecting you and strengthening you to take you deeper and to new levels of intimacy with Him. Grab a hold of Him, hold on tight and watch what the Lord will do as He continues to bring you into your position in His Kingdom. 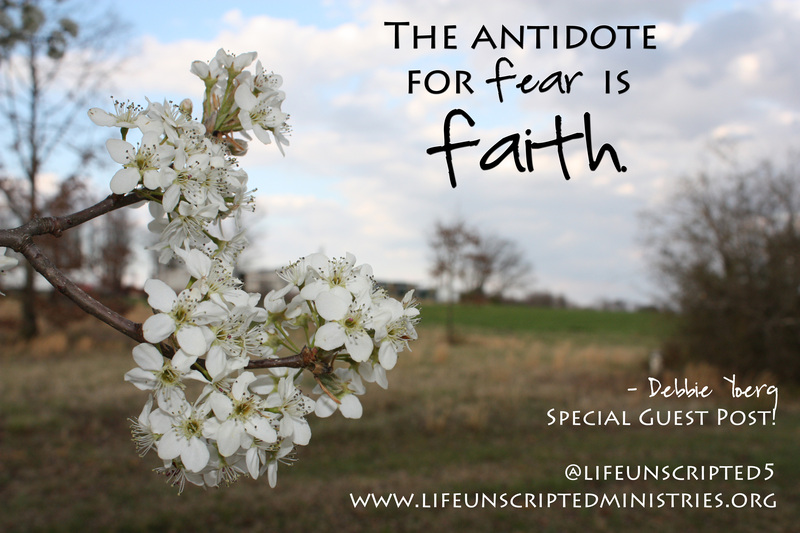 “The antidote for fear is faith.” I absolutely LOVE this. Partially because in my own life, I have been stepping way out of my comfort zone. Like, waaaay out. One thing I’ve learned is that God steadies our steps when they’re taken in faith. Faith > fear. We’d love to hear what spoke to you in your quiet time today! Start the conversation below or here on my Facebook page! Loretta Yopp is joining us again this week! You can check out her blog here at www.puttingonthenew.blogspot.com . David is taking time to reflect on the blessings and favor of God in this Psalm. He is not only reflecting on the former things, but those things to come which are eternal. Verses 1-6: These few verses serve to remind us that being a child of God comes with great benefits. The bible tells us that “We are blessed and highly favored.” David is in a sense reflecting on ALL the gifts that God has given freely to him. We must take time to reflect on the gifts (blessings, favor, and benefits) we have been given as a result of being a child of God. We are joint-heirs to the Kingdom of God. Do you want all the blessings God has prepared for you? God desires to pour them out on you, because we know all good things come from above. We should look upon all we have as gifts from God, so we bring Glory to God. Take time today to write down all your “gifts” from God and then tell someone. Verses 7-13: When our feet are firmly planted on the solid Rock we can not be moved from the favor of God. David trusted God knowing that no matter what, his feet were firmly planted on Christ the solid Rock. 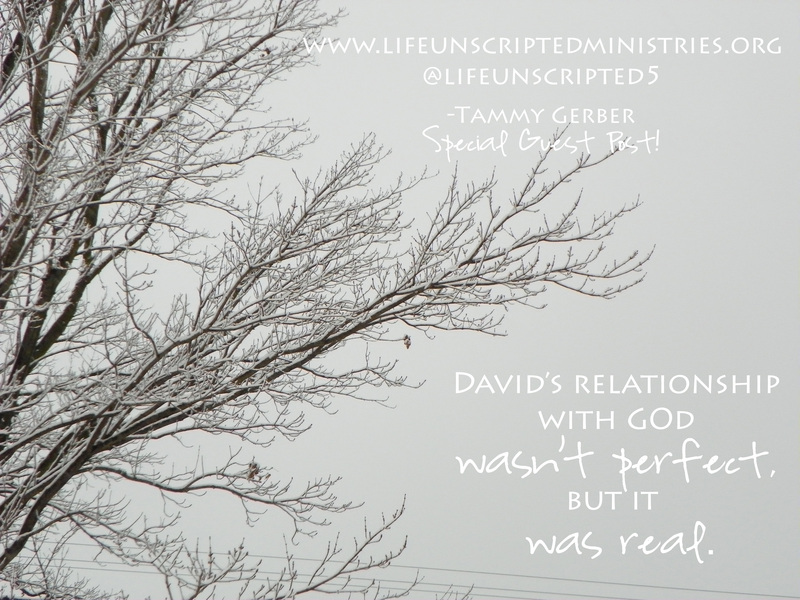 David trusted God’s ability to keep him even when people were scheming and plotting against him. David trusted that God would intervene and deliver him from the enemy. God’s promises are still relevant to his children today. Are your feet firmly planted on the Rock or when the enemy comes to steal, kill and destroy do you tuck your tail and run? Stand firm and simply trust in God! This Psalm gives us a clear view of the cross which would take place hundreds of years later. It is as if God allowed David to endure similar suffering and pain that Jesus Christ would endure on the cross. David must have been going through a great trial when writing this Psalm. Verses 1-6: David is at a point were he feels that God has left him alone to fight the battle. David feels God has deserted and rejected him in his darkest hour. God’s silence has caused David to send forth an urgent appeal to God, “My God, my God, why hast thou forsaken me?” Can’t you feel David’s pain? It is the midnight hour, God is silent and our cries for help go unanswered. Verses 9-12: David begins to remind us that our hope is in God. God was our hope even in our mother’s womb and remains that hope far beyond our years. Verses 22-29: After all the pain and suffering that David endured, he declared to worship God openly before others. David would testify of the faithfulness and goodness of God. We each have a life story full of things we have walked through. 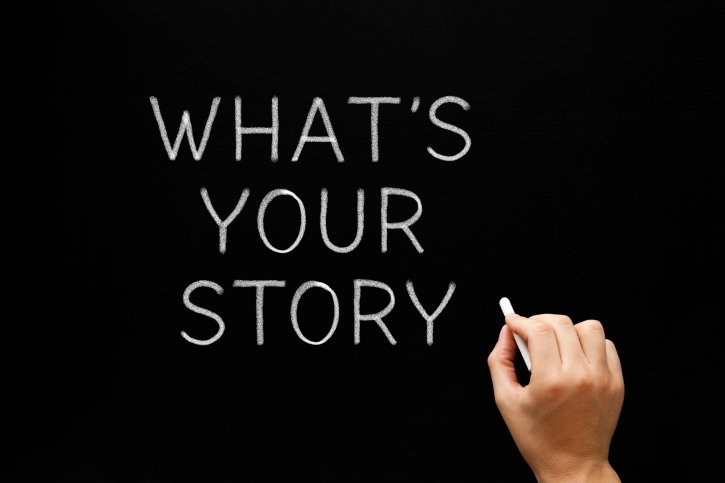 We must be willing to tell our story to those we come in contact with. The bible tells us “we overcome by the blood of the Lamb and the word of our testimony.” God has once again shown up right on time. Verses 30-31: As a mother it is my job to pass on my legacy to my three children. It is our job to plant Godly seeds in our children. Our children depend on us to teach them and instill in them Godly values. To many times we depend on the churches or some else to teach our children about the Lord. God has given you the greatest gift – your children – with that comes a greater responsibility. “Raise up a child in the way he should go and he will NEVER depart from it.” God equips those he calls and parenting is a call from God. Teach your children to read the bible, pray, fast, tithe, forgive, love, respect others, praise and worship and most importantly take them to church regularly. Allow them to experience God’s power through you. God’s legacy lives on in us and it is our responsibility to be an example to our future generation. What are you teaching your children? 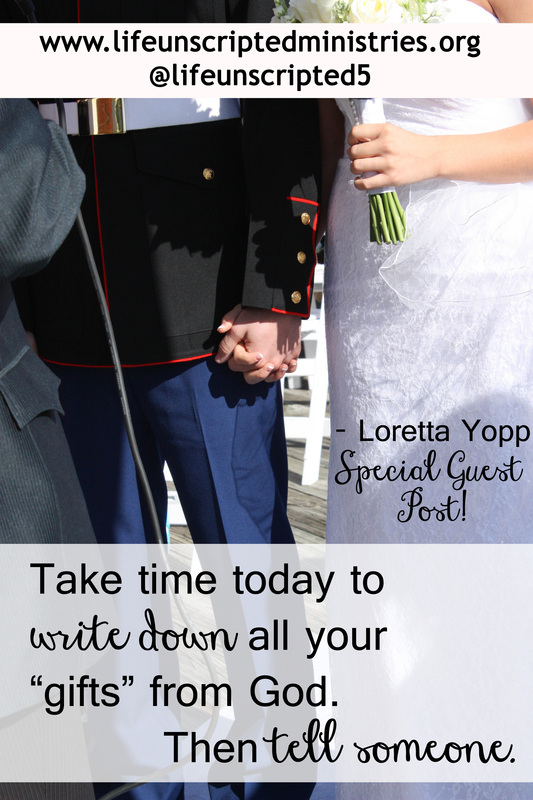 Loretta, thank you so much for sharing your heart with us! We truly are leaving a legacy for our children. The question is – what kind of legacy? The best thing we can do for our children is to teach them to walk holy, godly lives. And God will equip us to do just that if we stay firmly rooted in His Word. 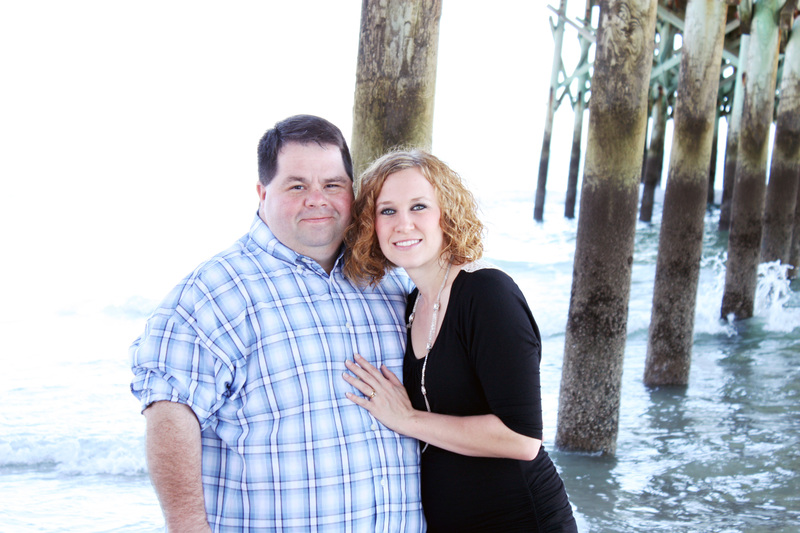 Join us tomorrow as Meredith Bernard from www.meredithbernard.com shares her heart with us! Share your thoughts below! Or you can join in the conversation here on my Facebook page! This post is incredibly special to me for several reasons. 2 – Did I say my hubby is posting?? As I sit back today and read psalm 15-16, I reflect on my day which started at 5:30 am. I get my patients squared away and I go to my breakfast break. It’s a great time to pull out the iPhone and check Facebook and the news. First off, terrorist attack in Paris. 12 killed, others injured and a massive manhunt for a couple of guys that were videoed walking up and down the street terrorizing people. ISIS declaring war on our freedom and on Christians. The Flu epidemic. Thousands infected, many have died. Ebola. Massive outbreak in Africa with over 9000 deaths at this point. Cancer diagnosis and deaths of so many that are close and dear to me. And then this. A father in St. Pete. After being pulled over by a police officer, stops at the top of a bridge and over the bay. He gets out, pulls his 5 year old precious little angel and holds her to his chest and in one motion throws her over the side. 62 ft in the air. Throwing her little body into the cold, frigid water. 62ft below. As a father I can’t imagine what kind of evil could posses a man to do something so purely evil. I have realized that we live in a sick, sick, evil world. 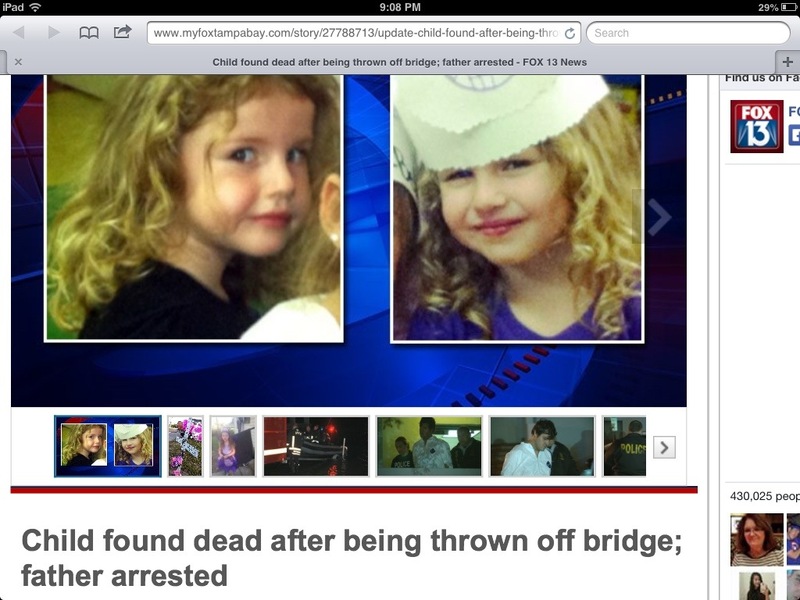 One that I can’t begin to comprehend how dark and evil that this world we live in truly is. If I stopped here and said goodnight, it would be a very bleak post. However, Psalms 15-16 gives us a hope for “our” future. We as believers have a hope that is so much bigger, so much greater than any evil that dwells in this earth. Don’t be discouraged my friends. Don’t be deceived into believing He can’t take care of you. He loves you, and He cares. Trust in the heart of God, in spite of what you see and hear. I love one of the last things that Gary said. Don’t be deceived into believing He can’t take care of you. We serve a mighty, mighty God, y’all. He hung the stars in the sky and knows every hair on your head, even if you’ve colored it so much you can’t remember the natural color. Nothing catches Him by surprise. Not even those painful, gut-wrenching news stories. I’m so thankful for the promise found in Psalm 30:5. Even though our mourning may last for a night, JOY comes in the morning! You could substitute almost any word there. Make this personal and insert your current situation. No matter how you fill in that blank, JOY comes in the morning! 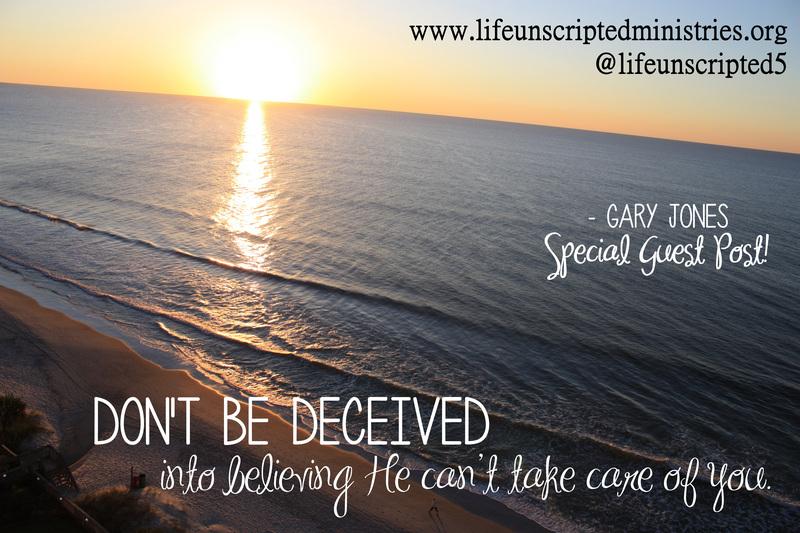 Don’t be deceived into thinking God can’t take care of you! He loves you so much! I’d love to hear your thoughts below. Encouraged today? Learn something new? You can follow the conversation here on my Facebook page! 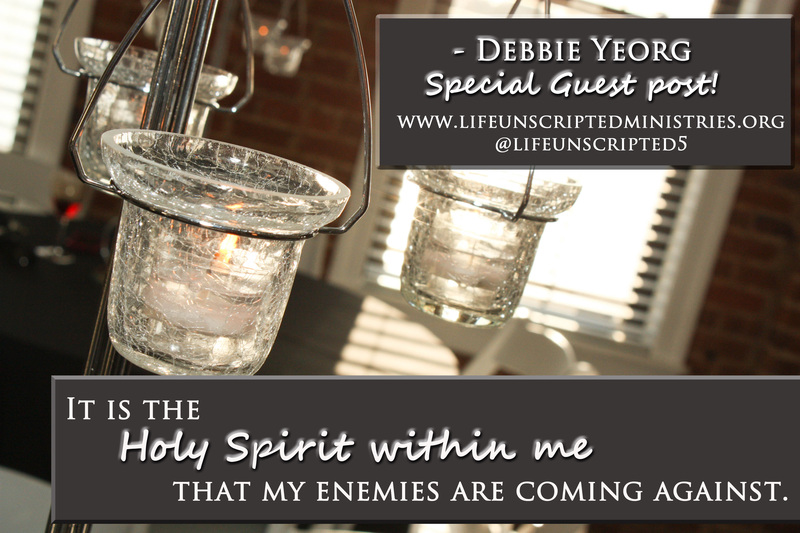 I’m so excited you are joining us for our first “official” Online Bible Study! We have a special guest sharing with us today on Psalms 5-6! Ready to pull out those highlighters and fav bible study tools? Let’s do this! First I want to welcome a good friend of mine, Shannon Yeatts. She is a praise and worship leader at Faith Church Ministries in Danville, VA where her husband is the pastor. Here we go! As I was reading and meditating on Psalms 5 and 6 these verses really stuck out to me. 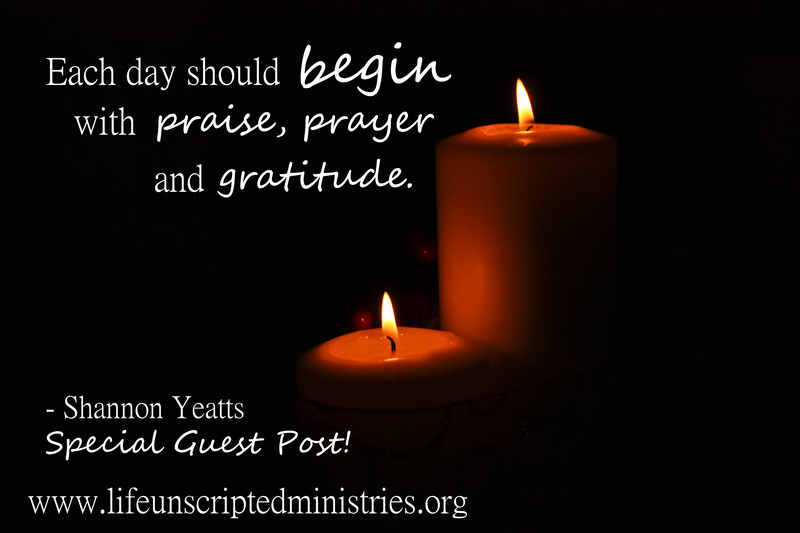 Each day should begin with a word of prayer, praise and gratitude to our Lord and Savior. God wants relationship with us and prayer should be part of that relationship. Prayer along with God’s word will bring you closer to God and will create intimacy like never before. When we pray, we’re talking to God and when we read Gods word, He’s speaking to us. That’s how a relationship works. Communication! If my husband and I never communicated our marriage would be awful but because we communicate our feelings, we have a very powerful and loving marriage! Never take your prayer time for granted. There are people in 3rd world countries that have to hide in underground churches just to get into Gods presence with other believers. There’s people dying for their faith and family members being shunned because of their decision to follow Christ. We have so much freedom here in America. We are so blessed to be able to gather with other believers and worship freely, some are not so fortunate. 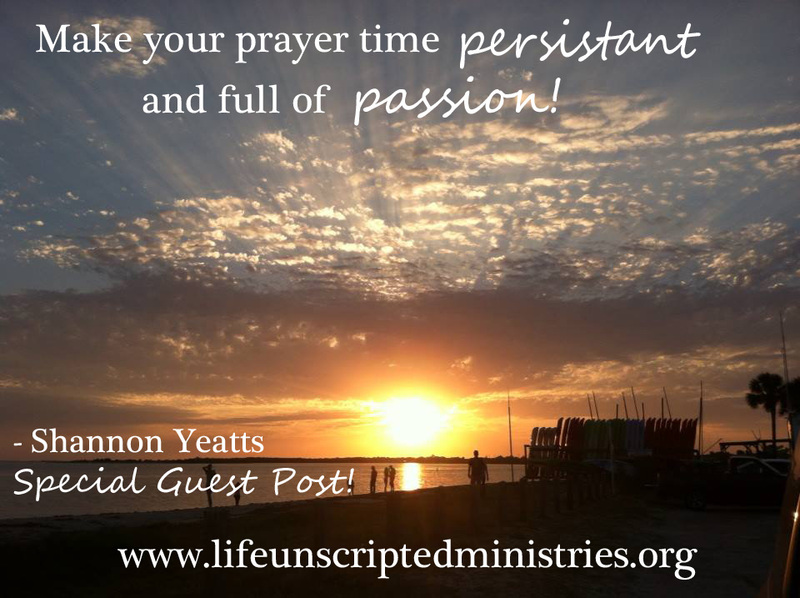 Make your prayer time persistent and full of passion! Don’t go a day without it, it will get you through the toughest times! Sometimes you may not know what to pray. Just keep praying! Sometimes all you can do is cry, God understands. Jesus makes intercession for us when we don’t know what to pray anymore. If all you can do is cry, keep crying! God sees your tears and hears your cries for help. He sees your desperation for Him to move! His ears are not deaf to your cry. The other day I got really upset because there were some things that I had been praying and believing God for and I just felt like God didn’t hear me. I began to cry and I even yelled out in desperation to God. That very same day, God put someone in my path that was sharing their story on Facebook. It was almost identical to what I had been facing. Finally, God had placed someone in my life who understood what I was going through and I was encouraged to see that there was still hope for my situation. I then began thinking about all the prayers God had recently answered in the past month. Maybe not in the way I expected, but He heard me! 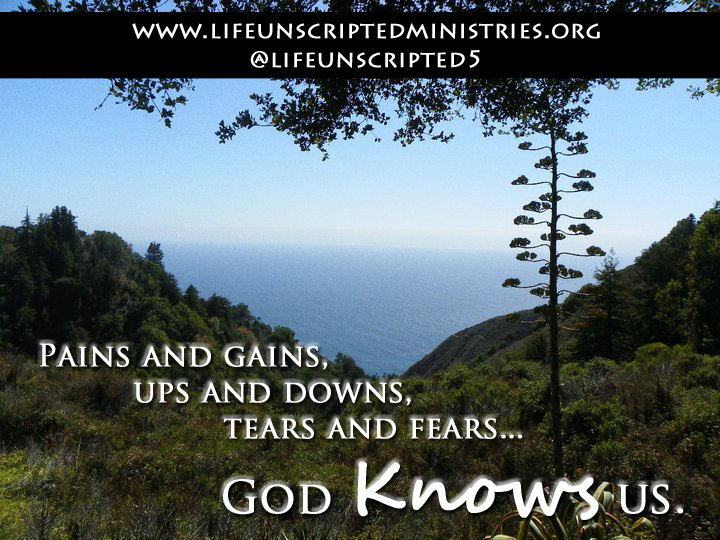 God understands our needs and cares about us so much! Hallelujah, the Lord hears our prayers and He receives them! Don’t stop praying! Make prayer time a priority this year. Thank you so much, Shannon for your insight on Psalms 5-6! One thing that hit me big time is that we aren’t alone in our suffering. David went through different struggles than we did, but he also went through many of the same ones. People issues. Drama. Enemies. So we may not have gone through a “cave hiding” phase, but he did lose a child. I can’t imagine that kind of pain. What spoke to you in our reading today? 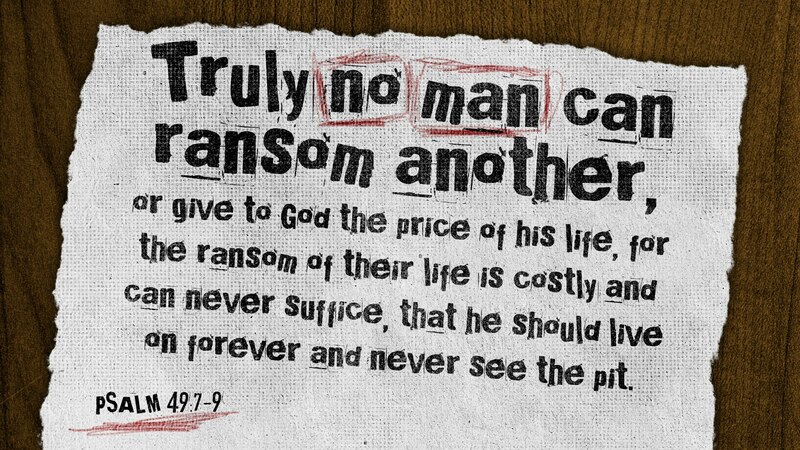 Did a specific verse take on new meaning? Join in the conversation below or here on my Facebook page!